Barcelona superstar, Lionel Messi, has claimed that Neymar’s departure has actually helped the team improve. Neymar left Barca for PSG last summer in a stunning €222million deal. The Brazilian, alongside Messi and Luis Suarez, made up the famed MSN attacking trio, helping the club to two La Liga titles and the Champions League among other trophies. But Messi feels they are better with Neymar. “Without Neymar we are more balanced,” Messi told World Soccer . “His departure meant a change in our way of playing, we lost a lot of attacking potential, but it helped in the defensive sense. 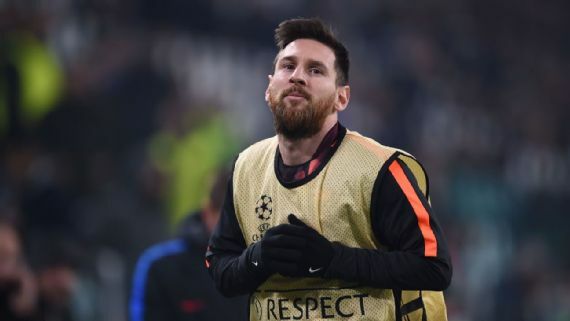 Barca are preparing for the last 16 of the Champions League, where they will face Chelsea.